Last week, I celebrated a somewhat significant milestone in my life — my 25th birthday. Now, as my Dad put it, I’m a quarter of a century old. If I put a little too much thought into it, it’s crazy how much time has passed since good ‘ole 1990. And as it turns out, another book challenge presented itself that fit perfectly with my birthday: “A book that came out the year you were born” (see my latest post: A Book with a Number in the Title). When I began researching books published in my birth year, I unfortunately couldn’t find much of anything that I’d be interested in reading. While I’m trying not to be too picky with this challenge, I couldn’t help but feel I needed to read something special for my birthday. And that’s what led me to choose “Jurassic Park” by Michael Crichton. Despite already having read this in the past, it’s one of my favorite books that just gets better and better with each read. 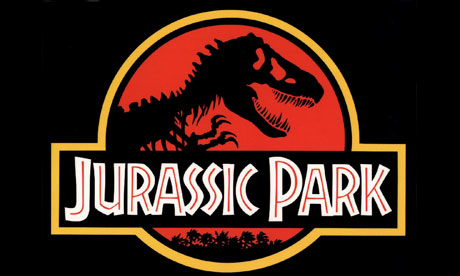 When I was little, I was absolutely terrified of the movie (and rightly so) but after getting over my fear of being eaten alive by dinosaurs, it’s become one of my favorite movies. And while the book and film have many similarities and differences, there are merits to each of them that make it a timeless classic. Either way, the message remains the same in both: the ethical impacts of scientific discovery. “Life finds a way.” Perhaps one of the greatest quotes of all time, this philosophical idea paves the way for the entire premise of the Jurassic Park tale. With continuous popularity more than a decade after its coming out, I think it’s safe to say we all know how this story goes. Under the vision of idealistic but naïve John Hammond, scientists have found the ability to bring back dinosaurs from extinction. And on a remote island off the coast of Costa Rica, this prehistoric attraction is about to open for people around the world. 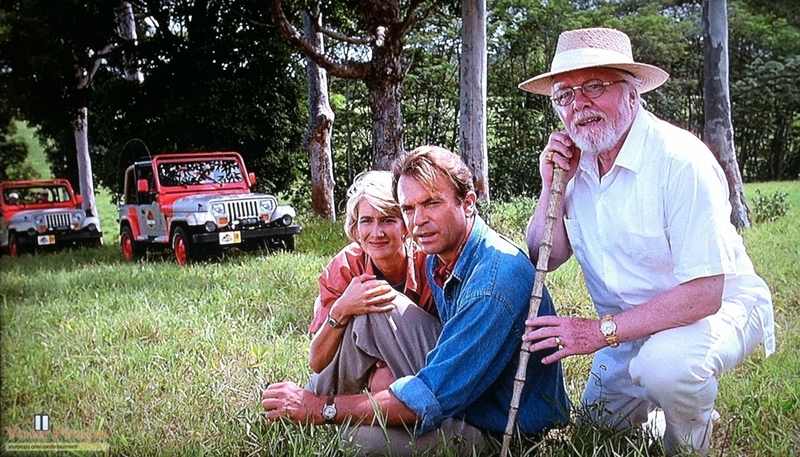 But with the fear of investors backing out, several experts from respective fields are brought in to review the park and confirm its “safety.” There’s paleontologist Alan Grant, paleobotanist Ellie Sattler and mathematician Ian Malcolm. Hammond even brings in his own grandchildren, Tim and Lex, to show how attractive the island will be to its main customers: kids. But the park isn’t all it seems as several problems become noticeable in small ways. Eventually, the park attendees have an even bigger issue on their hands when (SPOILER ALERT) the dinosaurs escape, causing Hammond’s seemingly perfect plan to fall apart. One of the most memorable parts of the book and movie are the quotes throughout each. I must say I get a little flutter of joy each time I recognize a popular quote taken from Crichton’s brilliant writing. 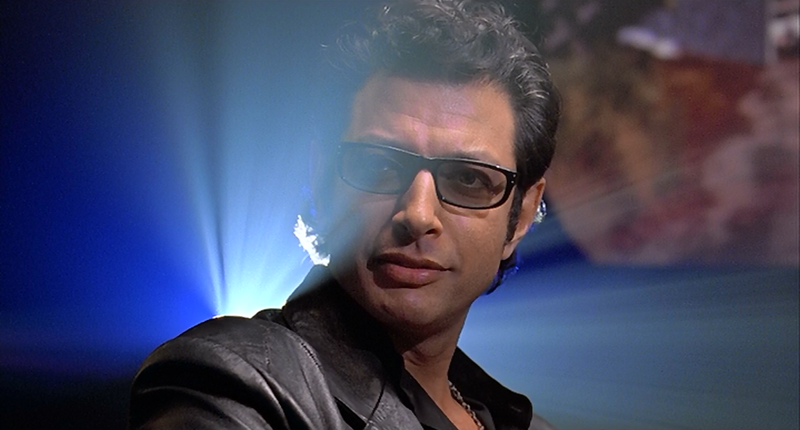 I’ve already mentioned one further up by none other than Ian Malcolm himself: “Life breaks free. Life expands to new territories. Painfully, perhaps even dangerously.” But there’s also the infamous “We spared no expense” and “What better person to get them safely through Jurassic Park than a dinosaur expert” (neither said by John Hammond FYI). 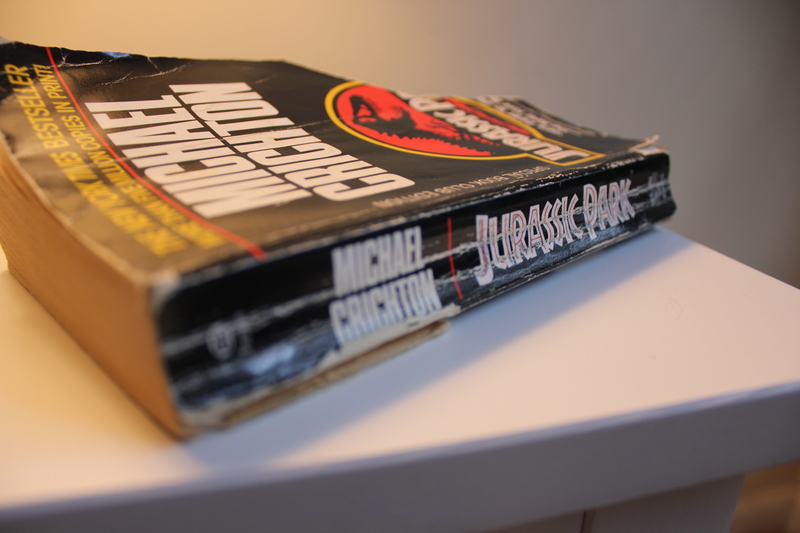 I was a little disappoint not to see John Arnold’s (aka Samuel L. Jackson’s) “Hold on to your butts” or Robert Muldoon’s “Clever girl.” There are some other noticeable differences between the book and movie. In the book, the ages of the children are reversed, with Tim being older than his sister Lex. The visitors also see all the dinosaurs during their car-ride tour rather than being disappointed in no shows. It’s also no surprise that there’s a few different deaths and those who stay alive throughout the book and movie. We also learn more about the background stories behind some characters and the elaborate process for actually making a dinosaur. On significant difference is the idea that some smaller dinosaurs have escaped the island and are living on the mainland, attacking humans sporadically and being perceived as undiscovered lizards. And while the movie does its part to ignite fear in its viewers, it does nothing compared to the graphic, violent and bloody deaths that are painted in our minds through imagination from the book. 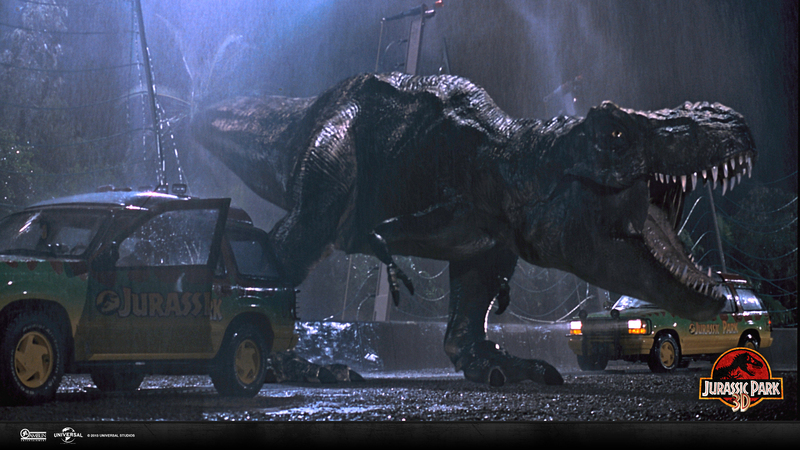 Without a doubt, the overall message of “Jurassic Park” is much more dominantly made in the book than the dialogue contained in its movie version. It’s the question of morality and ethics in the wake of scientific discovery. Throughout the book, the concept of “chaos theory” is greatly displayed by Malcolm. He predicts from the very beginning that the park is domed to fail, leaving nothing but death and destruction. Chaos theory proves this because of unpredictable behaviors. Unlike a zoo or park, Hammond is attempting to create something that’s never been done before. Without any sound reference material, the notion of knowing what to expect from extinct creatures is completely ridiculous. The theme of control is also readily displayed throughout the book. In a chapter coincidentally titled “Control,” the scientists have engineered the dinosaurs as all females so they can’t breed in the wild, as well as lysine dependent so they can’t survive outside the park. They are, as scientist Henry Wu describes, “essentially our prisoners.” But as chaos theory determines, this control is ignorant. Most of the time, the scientists don’t even know what they’re creating until its hatched, let alone how to pronounce their names. They never knew Dilophosaurus could spit venomous poison, why triceratops females kill each other for dominance or why stegosaurs get blisters on their tongues. How could you ever think to control something that’s never existed in our lifetime before? Another great quote that goes off this idea of control and scientific discovery is also recognizable between book and film. “Scientists are actually preoccupied with accomplishment. So they are focused on whether they can do something. They never stop to ask if they should do something.” Yet again, these thought provoking words come from none other than Malcolm. A sense of control is never more readily apparent than in Hammond himself. From beginning to end, Hammond holds onto this idea that the ability to bring these creatures back to life outweighs the lives and safety of everyone else. Even when the park is failing all around him, he still believes it can be fixed and will continue to open for children around the world (and make profitable income in the process). Toward the end, he even begins to turn on the experts around him (the scientist, game warden, etc.) claiming these once knowledgeable professionals are the cause of a failing park. Never once does he take the fault, proving to be his inevitable downfall. I must say I had a lot of fun rereading this classic book, which I guess I have the book challenge to thank for. If you love the movie and haven’t read the book, then what are you still sitting here reading this for? Go out and get it! I guarantee it’ll become one of your favorites, as well. Remember to comment below with what book you think will be in this next category (just in time for Valentine’s Day): a classic romance.